Andrea has been smitten with this book ever since it was released. So much that she will be teaching a class on the cone flower block from the plant lady collection AND the Jungle View quilt. In this course you’ll learn how to take your quilting to the next level using paper piecing techniques. Grab your copy and get ready to fall in love with the following project. Jungle View: Monstera leaves are all over the place in the textile industry right now. 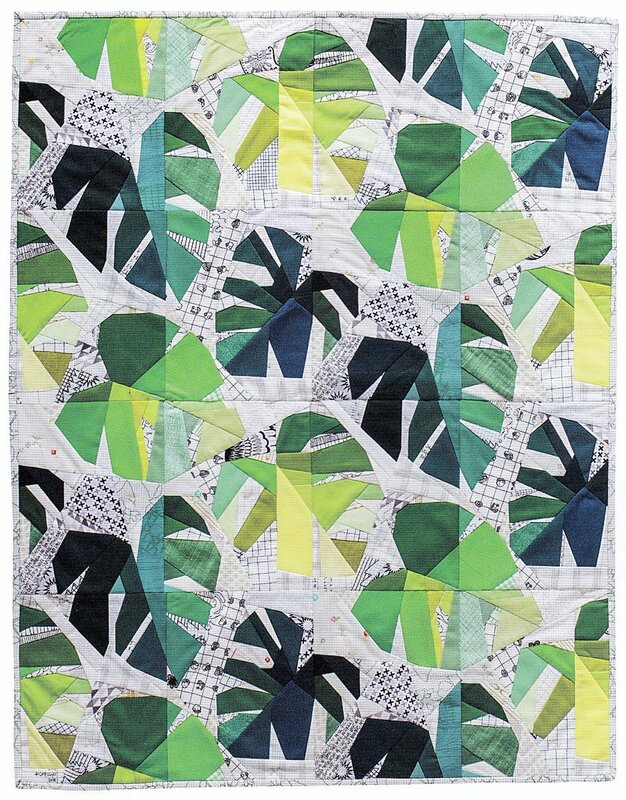 This quilt uses a half drop repeat that keeps these greeneries consistent but also stimulating to the eye. In this two part-er, you will get the hang of direction, color placement and have a few blocks done in no time. Requirements: Must have a copy of the book "Adventures in Paper Piecing and Design"